The first in a new generation of nimble utility side-by-sides. With an all-new compact chassis and bench seat, KYMCO UXV 450i is the first in a new generation of nimble utility side-by-sides. A narrow track and short wheelbase allows for a tight turning circle and increased manoeuvrability while the deep bench seat ensures there is ample room for a passenger. Set at 33HP the fuel injected engine delivers reliable power while the smooth CVT automatic transmission provides active engine braking. A locking front diff with push button selectable 2WD / 4WD and independent suspension with dual a-arms all round will take you wherever you need to go. 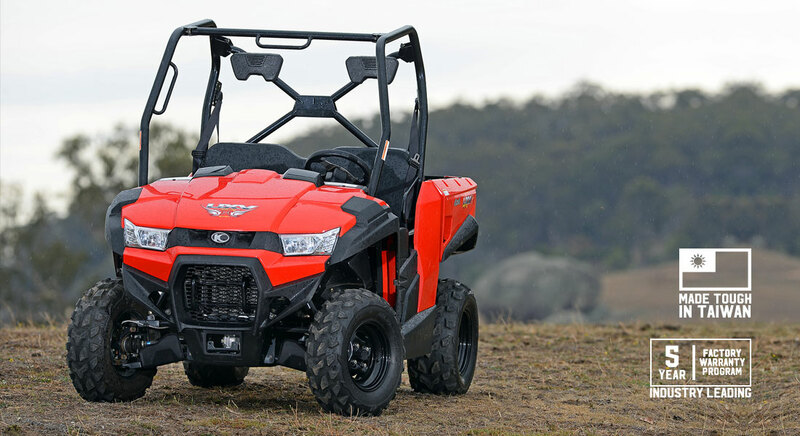 Nimble and versatile, KYMCO UXV 450i is the machine to make light work of any day on the farm.